Over 70 percent of all ER, Urgent Care and Doctor Office visits can be safely handled by medical professionals over the phone. The HCSN gives you 24/7 access to more than 2,300 doctors any time – day or night. We even have a mobile app with a geolocator to identify when you walk into an emergency center. When you are a member of our TELEMEDICINE service, this app reminds you to check with telemedicine for medical advice before spending unnecessary dollars. Medical consultations with board-certified, licensed physicians who can even prescribe medication when necessary. Accessible. Anywhere. Anytime. Even when you are traveling. Service is available in all 50 states, except Arkansas. Affordable. Monthly fees cost less than the out-of-pocket costs for ONE doctor’s visit. Proactive. Offer personalized health coaching and weekly plans to monitor your wellness. Educational. 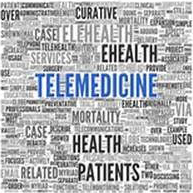 When you want to learn or check out your concerns, telemedicine members have access to thousands of educational videos and articles.